[Help & FAQ] What is AirDroid? How to start using? [Help & FAQ] How to Create an AirDroid Account? [Help & FAQ] What's the User Type of My Account? [Help & FAQ] How to install AirDroid Windows/Mac? [Help & FAQ] How to Connect Your Device to AirDroid Win/Mac? [Help & FAQ] How to Reply to WhatsApp/Facebook Messenger/Kik/Telegram Messages? [Help & FAQ] Why I Can't Reply to WhatsApp Messages? [Help & FAQ] How to clear notifications? [Help & FAQ] How to exit/sign out AirDroid Windows/Mac? [Help & FAQ] AirIME: how to use your computer keyboard to type on your phone? [Help & FAQ] How to Set Desktop Notifications for AirDroid Web in Firefox and Safari? [Help & FAQ] How to manage files on external SD card? [Help & FAQ] How to find IP address on your phone? [Help & FAQ] How to manage permission for AirDroid on device with Android v.6.0 and above? [Help & FAQ] What's LAN Connection Mode and Remote Connection Mode? [Help & FAQ] What's the Current Remote Data Usage? [Help & FAQ] Why AirDroid Disconnect Constantly? 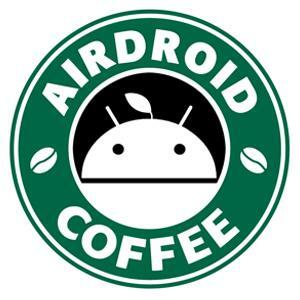 [Help & FAQ] How to Purchase AirDroid Premium? [Help & FAQ] Paid But Not Receive Activation Code? [Help & FAQ] How Can I Get a Refund if I am Not Satisfied With the Service? [Help & FAQ] How to Cancel Recurring Subscription of AirDroid Premium? [Help & FAQ] How to Use AirDroid Activation Code? [Help & FAQ] How to Uninstall AirDroid? [Help & FAQ] How to Block Notification Pop-ups from Specific Apps? [Help & FAQ] Why I Can't Receive Any Notifications on AirDroid Win/Mac/Web? [Help & FAQ] Can I Make a Phone Call with Computer's Mic and Speakers? [Help & FAQ] What is local transfer and remote transfer? [Help & FAQ] How to delete a device from my account? [Help & FAQ] "Stay signed in for 2 weeks" doesn't work? [Help & FAQ] Will AirDroid Drain Phone's Battery? [Help & FAQ] Is AirDroid Available for Linux/iPhone/iPad/iPod Touch/Windows Phone? [Help & FAQ] Is AirDroid Secure? [Help & FAQ] Why AirDroid Needs so many Permissions? [Help & FAQ] How to report the issue or suggestions with AirDroid on computer? hi i have a question. how i can get bonus with p.c device? because i can not get bonus with the android device because my facebook apps do not working in my android device. Can you share it to Twitter or G+? hi. i can not share it to twitter or G+ olso. i should share it just with p.c device. can u help me? [left][left]Hi Please add an option that I found access to WiFi modem to replace the WiFi password.Switch the WiFi modem password via the net.